There are a couple of ways you can get involved with cryptocurrencies. Probably the easiest would be to buy them from a broker service like Coinbase or Local Bitcoins. These allow you to convert your fiat money, USD, CAD, GBP, EUR, AUD, NZD, into one of the major cryptocurrencies, like Bitcoin, Ethereum or Litecoin. You can then take your newly bought Bitcoin and convert it into one of the more than 200 exotic cryptocurrencies like Steem, Monero or AntShares on an exchange like Poloniex or Bittrex. There is a more direct way of getting your cryptocurrency and that's by mining them. Mining for cryptocurrency is analogous to mining for gold or silver. You set up the mining program, or miner, on your computer and let it run. It "mines" for cryptocurrency by performing increasingly complex calculations and you're paid at pretty regular intervals. We've simplified the process a lot but in a nutshell, that's what mining is all about. In the good old days, you could use your laptop to mine and the payout would be worth it. These days, due to the increasing complexity of the calculations that need to be performed, an ordinary laptop is no longer powerful enough to mine any of the major currencies. To add that extra power, that's where Graphics Processing Units (GPUs) step in. Back in 2013 and 2014, it was hard to buy any GPUs due to the first boom in cryptocurrencies. It feels like those days again with the huge price increase in Ethereum, with many shops having run out of GPUs to sell and people are forced to buy overpriced ones on eBay. 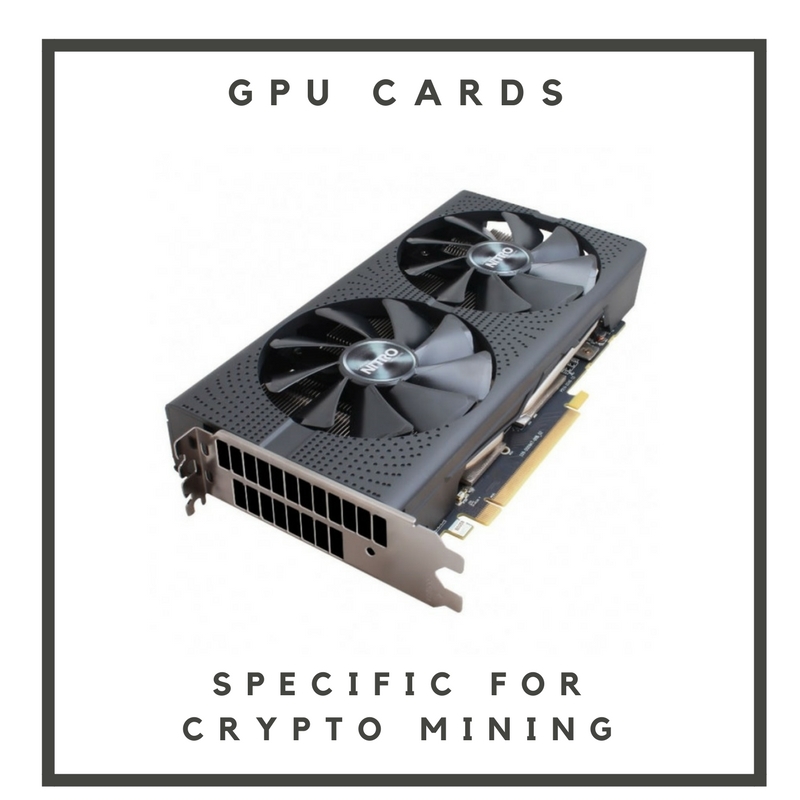 It took them a while but now, Hong Kong based Sapphire, which is probably the best AMD GPU maker has decided to make a graphics card solely for mining and not for gaming. They're definitely hoping to take advantage of the recent crypto craze. These new graphics cards will not feature any display ports, which means that you won't be able to use them for gaming. On the other hand, this would allow Sapphire to reduce the price that they sell these GPUs to miners. The price of your GPU should be a major consideration when you calculate your breakeven analysis. The graphics cards with the Samsung chip are supposedly better for overclocking but that will have to be put to the test. One thing to note is that the warranty for these cards will be one year. They're expected to be well worn out by then. Mining rigs run 24/7 after all. I'm a little disappointed by the price reduction for these mining-only cards. They're not very attractive given the fact that the resale market would be non-existent since they're of no use to gamers. Probably the biggest benefit is that so many of these cards are currently hard to find, so hopefully they'll be easier to get now. I hope you're excited about cryptocurrencies as I am. It feels as if we're at the start of a wonderful journey and there's so much room to grow. To put it in perspective, the value of all cryptocurrencies now is less than the market capitalization of Apple, just one company. Cryptocurrencies also fulfill some important functions in the monetary system from anonymity to hedging against inflation which i'll touch on in another article.